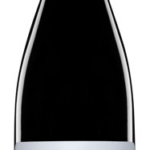 Nose: A harmonious combination of forrest floor, polished wooden furniture, raisin cake mix with understated cassis and blackberry fruits, in what is a very low altitude, reserved expression. As the glass evolves with air the altitude of perfume slowly rises and a bouquet of cedar, roast almond, leather boot and a deep current of blackcurrant finely interlace with the aforementioned earthiness and create something quite unique and sophisticated. Palate: There is careful attention to detail across this finely polished and creamy smooth palate that evidently reflects the 40% Merlot inclusion. 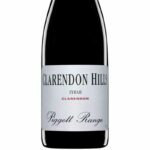 Layers of pure black fruit, earthy olive tapenade and subtle degrees of cigar tobacco, roast almond and baking spice nuance throughout this classical styled composition. Categories: Domaine Clarendon, Grand Cru.